The brand’s slogan “Adventure Unlimited” reads the true spirit of vehicle as you can get smooth, safe and powerful drive across all types of plain and dangerous terrains. The ultimate secure drive is ensured by the company’s TOP Platform (Toyota Outstanding Performance Platform) which is integrated with an array of advanced features for superb stability and control. The power generated by its 2494 cc engine, giving you the maximum output of 75/3600 KW/RPM, will keep it on track while traversing topsy turvy pathways. A significant part of the appeal of this enthusiastic automobile comes from its multiple versions, and you can go for any of these whichever appeals to your own taste and temperament. 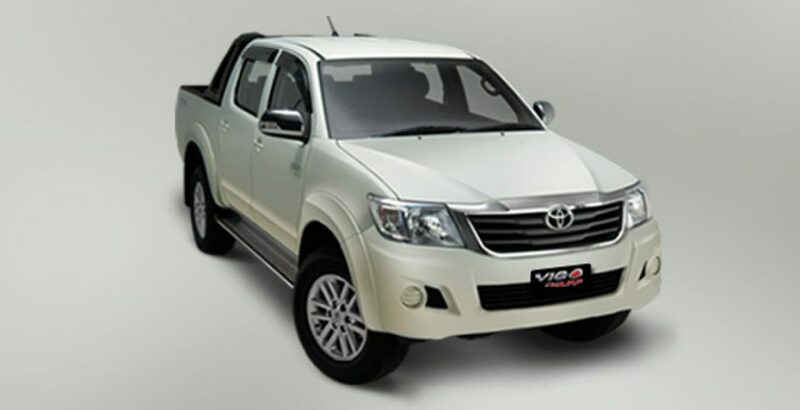 These include Champ V, Champ G, Champ GX and Hilux. Here the V version comes with manual 5 speed transmission, while the G version brings you 4-level ECT automatic transmission system. However, all the models share a large number of magnificent specs, such as Hydraulic Power Steering System, standard Front Stabilizer Bar, Double Wishbone front suspension and part-time 4WD Lever. 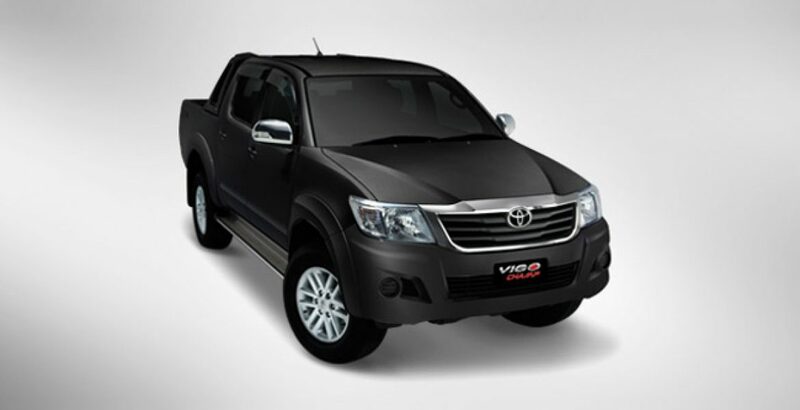 Concerning the Toyota Vigo Champ 2014 price in Pakistan, the GX version is the costliest one while the G M/T variant has considerably less price tag reading. However, the least expensive among all these is the 4X4 Standard variant. For an adequate balance of power and fuel efficiency, you have an intelligently engineered top gear ration of automatic transmission integrated in the 2.5 L Common Rail Turbo Charged diesel engine technology. The modern 3KD-FTV engine type brings you 4-wheel drive system that is further equipped with LSD mechanism to limit the differential. So, when one of the wheels begins to slip, the post modern Limited-Slip Differential (LSD) technology generates an appropriate drive force in the other wheel, thus allowing the vehicle to drive smoothly and steadily. There is no denying the fact that every individual potential buyer has his or her own taste for a particular color of the vehicle. 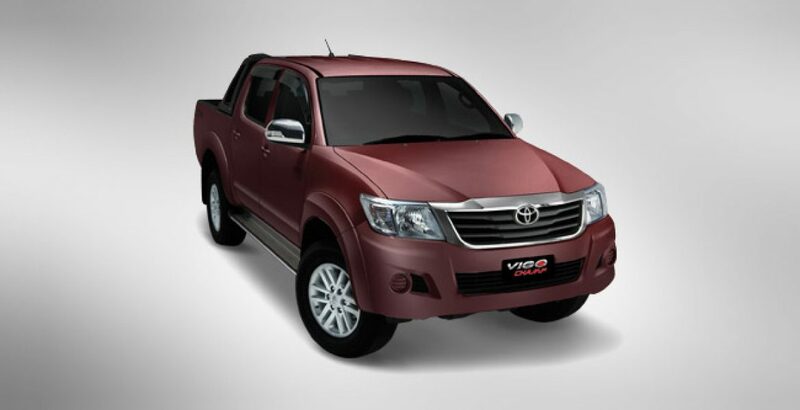 So, for the sake of addressing versatile human tastes, the new Toyota Vigo Champ 2014 multi-terrain runner features as many as 8 different super-elegant body shades, which include White, Black, Medium Silver, Gun Metallic, Bronze Mica, Wine Red Metallic, Strong Blue Metallic as well as Sliver Blue Metallic. In this way, the simplicity-lovers may go for the plain white, while the jubilant fellows have wine red and strong blue automobile shades at their disposal. Inspired by the Saharan Desert, your Vigo has been designed for a perfectly adventurous lifestyle and features a lively and priceless sand beige expression for the interior. Further elegance is added by the darker shade of the grey, so that you may revel in the glory of extreme adventure and have a ride with limitless possibilities. 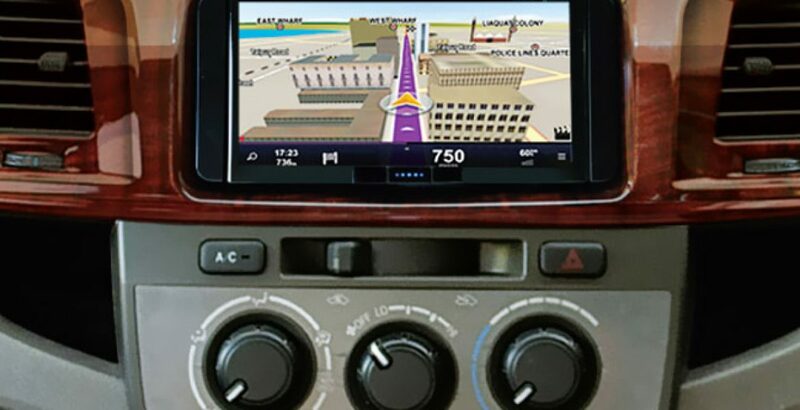 For the sake of lively entertainment, the front panel has been integrated with the touchscreen DVD and Bluetooth support. In addition, the steering comes with audio switches. For the ease of operation and convenient entry to its two-tone extra luxuriant interior, there are outstanding accomplishments of the Power Windows with wooden paneling and “Remote Keyless Entry”. 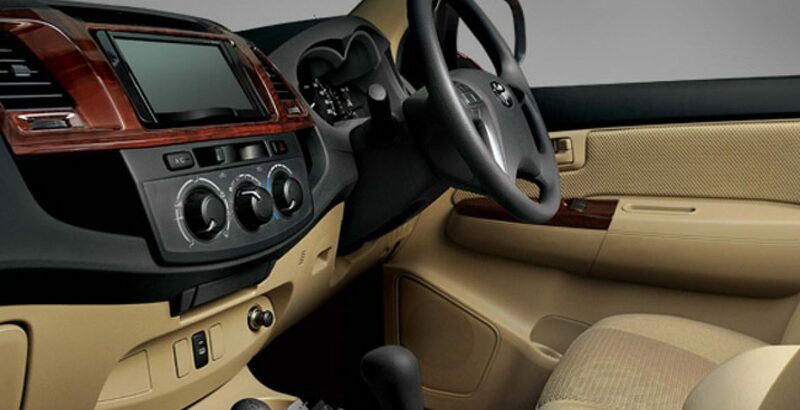 Another great embellishment in the interior is that of the 4X4 ECT Automatic Transmission which not only facilitates you with effortless driving and smooth shifting, but also redefines your overall driving experience. Standing with its indisputable presence, the stylish exterior of the Vigo Champ utters dominance and emanates an air of confidence from its every single inch. Built for the ultimate journey, the exterior of the vehicle has tremendous potential to face every minor and major challenge with grace, power and luxury. Among its mind blowing exterior embellishments, there include 17-inch alloy rims, chrome rear bumper, chrome grill, roll bar, bug guard as well as a powerful rear view camera. The new great addition in the automobile market, by the Toyota manufacturers, will definitely prove to be a piece of real attraction for the potential buyers, thus fetching significant market share to the company. The dual SRS airbags, GOA body structure, Anti-lock Breaking System and Disk Brakes are among the supreme safety features which, along with giving a luxurious drive, protect the precious human lives on life threatening terrains. The incorporation of cutting edge technology and certain additional perks are definitely a plus point, thus adding to the worth and appeal of the vehicle.